Tom Rothrock, Mixer, StudioPersonnel - Rob Schnapf, Mixer, StudioPersonnel - Larry Crane, Mastering Engineer, StudioPersonnel - Elliott Smith, Producer, Guitar, Vocals, MainArtist, AssociatedPerformer, ComposerLyricist - Adam Gonsalves, Mastering Engineer, StudioPersonnel Copyright : ℗ 2017 The Estate Of Elliott Smith, under exclusive licence to Universal Music International B.V.
Larry Crane, Mastering Engineer, StudioPersonnel - Elliott Smith, Producer, Mixer, Guitar, Vocals, MainArtist, AssociatedPerformer, StudioPersonnel, ComposerLyricist - Joanna Bolme, Mixer, StudioPersonnel - Adam Gonsalves, Mastering Engineer, StudioPersonnel Copyright : ℗ 2017 The Estate Of Elliott Smith, under exclusive licence to Universal Music International B.V.
Larry Crane, Mastering Engineer, StudioPersonnel - Elliott Smith, Producer, Mixer, Guitar, Vocals, MainArtist, AssociatedPerformer, StudioPersonnel, ComposerLyricist - Adam Gonsalves, Mastering Engineer, StudioPersonnel Copyright : ℗ 1997 The Estate Of Elliott Smith, under exclusive licence to Universal Music International B.V.
Larry Crane, Mastering Engineer, StudioPersonnel - Elliott Smith, Mixer, Guitar, Vocals, MainArtist, AssociatedPerformer, StudioPersonnel, ComposerLyricist - Adam Gonsalves, Mastering Engineer, StudioPersonnel Copyright : ℗ 1997 The Estate Of Elliott Smith, under exclusive licence to Universal Music International B.V.
Larry Crane, Mastering Engineer, StudioPersonnel - Elliott Smith, Producer, Mixer, Guitar, Vocals, MainArtist, AssociatedPerformer, StudioPersonnel, ComposerLyricist - Adam Gonsalves, Mastering Engineer, StudioPersonnel Copyright : ℗ 2017 The Estate Of Elliott Smith, under exclusive licence to Universal Music International B.V.
Larry Crane, Mastering Engineer, StudioPersonnel - Elliott Smith, Producer, Mixer, Guitar, Vocals, MainArtist, AssociatedPerformer, StudioPersonnel, ComposerLyricist - Tony Lash, Assistant Mixer, StudioPersonnel - Adam Gonsalves, Mastering Engineer, StudioPersonnel Copyright : ℗ 2017 The Estate Of Elliott Smith, under exclusive licence to Universal Music International B.V.
Larry Crane, Mixer, Mastering Engineer, StudioPersonnel - Elliott Smith, Producer, Guitar, Vocals, MainArtist, AssociatedPerformer, ComposerLyricist - Adam Gonsalves, Mastering Engineer, StudioPersonnel Copyright : ℗ 2017 The Estate Of Elliott Smith, under exclusive licence to Universal Music International B.V.
Larry Crane, Mastering Engineer, StudioPersonnel - Elliott Smith, Producer, Mixer, Keyboards, MainArtist, AssociatedPerformer, StudioPersonnel, ComposerLyricist - Adam Gonsalves, Mastering Engineer, StudioPersonnel Copyright : ℗ 2017 The Estate Of Elliott Smith, under exclusive licence to Universal Music International B.V.
Larry Crane, Mixer, Mastering Engineer, StudioPersonnel - Elliott Smith, Producer, Vocals, MainArtist, AssociatedPerformer, ComposerLyricist - Neil Gust, Drums, AssociatedPerformer - Adam Gonsalves, Mastering Engineer, StudioPersonnel Copyright : ℗ 2017 The Estate Of Elliott Smith, under exclusive licence to Universal Music International B.V.
Larry Crane, Mixer, Mastering Engineer, StudioPersonnel - Elliott Smith, Producer, Vocals, MainArtist, AssociatedPerformer, ComposerLyricist - Adam Gonsalves, Mastering Engineer, StudioPersonnel Copyright : ℗ 2017 The Estate Of Elliott Smith, under exclusive licence to Universal Music International B.V.
Elliott Smith is not dead ! 7 ans. 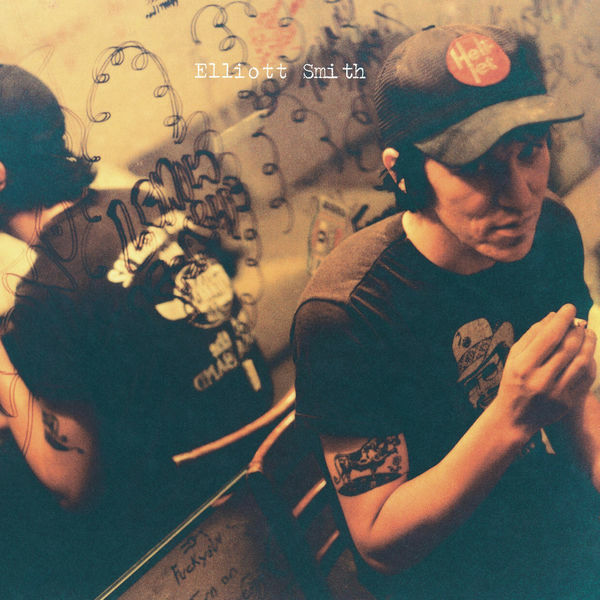 L'âge suffisant pour réaliser post-mortem l’ampleur de l’oeuvre d’Elliott Smith, qui n’en finit pas de faire des émules.